The Women's Super League Continental Cup group stage kicked off with a Merseyside stalemate as Liverpool's clash with Everton ended goalless. Four days after the Toffees had beaten their local rivals 2-0 in the FA Cup, neither side could force victory. In the North East derby, Sunderland beat Durham 3-0 with goals from Abbey Joice, Beth Mead and an own goal. Notts County of WSL1 beat WSL2 side Aston Villa 5-0, with Dunia Susi and Jess Clarke each netting twice. The competition is for teams in both divisions of the Women's Super League. 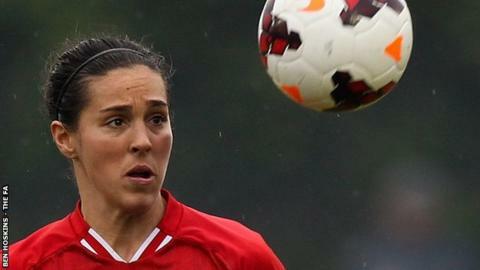 Reigning league champions Liverpool made most of the early running but efforts from midfielders Fara Williams and Amanda Da Costa both missed the target. Corina Schroder was then unlucky in the 35th minute when the defender's powerful 25-yard drive thumped the crossbar. The Reds continued to have most of the possession but were unable to turn their approach work into goals. And 14 minutes from time Everton almost snatched victory when striker Michelle Hinnigan's 15-yard shot was superbly saved by keeper Dani Gibbons. The Black Cats dominated from the start and almost took the lead when Steph Bannon's 17th-minute header hit the bar. Beth Mead and Vicki Greenwell had shots brilliantly saved by keeper Danielle Hill as the home side kept up the pressure. Abbey Joice broke the deadlock in first-half stoppage time, racing through to lob the ball over Hill. And five minutes after the interval Mead collected Kelly McDougall's headed pass to strike home the second goal. Mead went close to doubling her tally with a long-range 70th-minute drive that struck a post. The final goal arrived deep into stoppage time, defender Lauren Jordinson inadvertently heading into her own net. County swept into the lead after just three minutes when Dunia Susi headed home a Jess Clarke cross. Clarke doubled the lead when she slid the ball home after latching on to Katie Hoyle's 20th-minute through-ball. Australian striker Caitlin Friend volleyed in the third goal from Sophie Walton's 24th-minute cross. And five minutes before half-time Susi ran through the Villa defence to bag her second goal of the evening. Notts continued pressing after the break but had to wait until the 76th minute for the fifth goal, Clarke scoring from a Rachel Corsie pass.